Flash End-of-Life: What does this mean for you? The end of life for Adobe Flash is approaching rapidly. The end-date for Flash is scheduled for the end of 2020. Soon Adobe flash will be a thing of the past and will bring the end of some insecure interactive content on the web. With this, we no longer have the need to call upon third party software, all work can be done by simply switching to HTML 5 and by the end of 2020, Adobe Flash will not be update-able nor downloadable. Adobe said in a statement, "Over time, we've seen helper apps evolve to become plugins, and more recently, have seen many of these plugin capabilities get incorporated into open web standards. Today, most browser vendors are integrating capabilities once provided by plugins directly into browsers and deprecating plugins." In the beginning of YouTube, Flash was the standard format of viewing video. Back then, users who wanted to watch clips as a stream in their web browser were forced to install the Flash plugin, as well as having to install regular updates for this software. This changed in 2010 when the developers of YouTube decided to offer videos in HTML5 format instead. Since 2015, all YouTube content can be streamed via HTML5 without a Flash plugin. Today, their Flash content has been replaced by HTML 5. Browsers like Chrome, are already blocking Flash Player. Business's that are still using Flash are running out of time. All business that haven’t already yet migrated to HTML5 need to do so. Adobe first released Flash Player in 1996. Considering the age of the software and all the new innovations, it seems pretty fool-hardy to continue with development of the software. Cyber security is an area that needs to be carefully considered. Apple chose not to allow flash to be downloaded onto its devices way back in 2010. As a spokes person from apple back in 2009 said "We don't want to reduce the reliability and security of our iPhones, iPods and iPads by adding Flash". Companies trying to manage a third party while putting out their own products can be challenging. Up till 2010, the Adobe Flash Player was installed on almost all internet-capable computers and was widely used by most software companies. All this did was make Flash a massive target for malware developers. The security of Flash has by no means improved over time, rather, Adobe Flash has been left behind while new software standards have improved, like HTML 5. 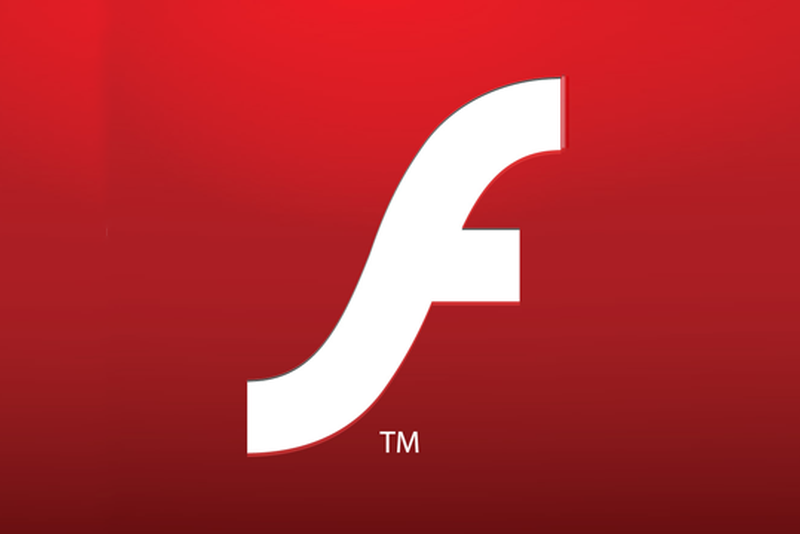 Flash end of life is scheduled for the end of 2020, which means Adobe Flash will stop updating and distributing the Flash Player software. Any content that is developed in Flash will not work after the end date. To many in the tech industry, Flash has been considered a resource hog and security threat. Google Chrome will be disabling Adobe Flash player by default from mid 2019. While you will still be able to enable Adobe Flash in settings, Adobe Flash content will only be run on a per site, per session basis. It's a pain going through settings to enable Flash, and you don't want your clients having to do that to use your product. Changing settings in your browser is a work around and will only work in the short term. Companies have been upgrading to HTML5 for a while now, as it is the new standard, along with WebGL and WebAssembly. HTML 5 will give better security to all your web applications. Website operators/developers should convert all Flash-based material to HTML5, as their customers may not be able to continue to receive or be able to play Flash content from your website. While your business is transitioning from Flash to HTML 5, there are a couple things to keep in mind. Work out your priorities, which content needs to be updated first. Also if something is due to for an uplift or a complete overhaul, that might be a good place to start. You can use a "pilot" approach, this means converting some of your content to HTML 5 and see how your clients react to it. If your business chooses this approach it will be important to allow extra time due to the fact you are collaborating with your clients. This is also a great time to look at all your businesses content and work out what needs to be changed or redesigned. Using a structured approach to convert all your projects/products may seem like a formidable task, but it will help make this process more streamlined. Connect with iTRA to discuss your next project. Personalized education isn’t a new concept. Before technological insurrection the British education system gave teachers a high level of autonomy regarding matters of how and what to teach. The system was based on the notion that educational techniques be similarly flexible and similarly tailored to the particularities of the student. The tutor measured student’s achievements against national standards and shoved them to progress in line with their age and abilities. Today we have a different setting. Virtual and augmented reality, in particular, provides us with a chance to improve the level of personalization to the extent we have never experienced before. The earlier system was a bit flexible, but learners still had to study from same textbooks and achieve the same goals. With AR and VR we are finally getting closer to the pledge and promise of individualized-tailored education for particular students. Personalized learning is tuition approach optimized for the exact needs of an individual student. The objectives are crafted in specific accordance with the apprentice’s aspirations, and the instruction substance and the approaches are developed in line with those objectives. AR blends the real surrounding with a digital setting. Materials are part of the environment like posters, papers, textbooks, and another different object elicits instructions in the digital context. The learner only points at the device to the object, and they get access to a new sheet of knowledge. VR is a computer processed simulation of the 3D environment. It needs different equipment in the form of a headset. In the education sector, virtual reality is a costly affair. But the aftermath advantages are immense since it stimulates real-world atmosphere. A good percentage of learners are thrilled to incorporate virtual reality technologies to improve their learning outcome. Walmart isn’t a learning institution, but we can use this organization as a success story of a personalized learning process. The organization is training its employees to enhance their skills through both the VR and AR technology which has positively worked for multimillion dollar companies like Google, BMW, VISA and ABC. The teaching stimulators place the workers in a realistic setting, which gauge their ability to handle various situations in the workplace. Can you figure out how this technology will work in education? Assuming learners are being trained of safety and precaution, the VR can place the students in a realistic setting that will assess their skills. The educator can offer some precise instructions and guidelines for improvement. For a perfect situation, every learner would have a virtual reality headset, but it is a bit expensive and only possible with companies like Walmart. However, AR is a much affordable option that will still make personalization possible. AR allows learners to interact and visualize different concepts in the real digital world. As long as learners have smartphones or tablets the trainer can create an interactive experience in AR without writing complex codes. Augmented reality makes the personalized learning process more accurate and relevant. The whole experience makes knowledge accessible through experiential training opportunities. By combining “blocks” and “scenes,” both the student and teacher can expand a range of AR experiences featuring a variety of fun personalities while undertaking computational thinking without taking the learner through a sophisticated programming language. And all this is free. To start of the experience, you only need to come up with an account and install a VR/AR supporting app. The efficiency of AR in anatomy learning for medical students is a good illustration of how these technologies help to enhance the education sector. The system behaves like a magic mirror that allows the user to visualize real body anatomy. The system also displays text information, 3D model of body organs, and medical images that the learner interacts with in real time. The dual VR and AR are as useful as the instructional processes behind the technology. It requires a lot of time training our educators to be capable of implementing this technology into their classrooms. A hurdle that might be preventing us from fully utilizing it. Augmented reality and virtual reality technologies take training beyond the basic observation and memorization. Learners can interact with the material at their pace and access authentic instructional material. In learning the virtual reality is the best method for it seems to have extreme power in student engagement. Her solution has taken learners’ inquisitiveness to higher and in-depth level activities that result in natural learning. Engaging the students is a prime tool. VR is offerings learner across the board with fantastic chance to learn while having fun. With virtual reality, the possibilities are infinite in the education sphere. Where visualizing means not to absorb information but experience students get deeper with learning. In the context of personalized learning, the VR has potential to help adult education stakeholders and learners to explore different setting from their own, solve complex problems, engage in simulations, content modeling or participate in world building and other learning identities and understanding. The possibility of using VR to craft immersive narratives that facilitate education decision makers to go down on the path of the learners and families that their individual decisions affect. This noble act increases empathy and helping academic decision makers take a student’s perspective in policy development. VR can be used for students with exceptional academic needs. Thus the virtual reality can upload fresh content on the headset and create an ideal environment for learners to virtually learn and view simultaneously. VR technologists are playing a vital role by providing virtual augmented solutions that help in strengthening the foundation of learners in the VR classroom. While there’s still needed to develop to make an average teacher comfortably personalize lessons with VR and AR, it will be a tall order to create an app that will be easy and quick to use for a layperson. This is a platform that takes the much larger scale with tremendous educator’s base developing personalized apps, which will provide machine learning information that will eventually enable self-reliance apps to modify themselves to student’s competence level. Developing online courses is one thing, designing courses that are both engaging and effective of another. With the effort that goes into creating the class, why will you not ensure that the eLearning material is useful and well received? An effective eLearning program is one that increases learner’s retention that enhances learner’s interest and delivers essential element. Developing content that will impact essential knowledge is a difficult task to undertake. It even more challenging when it comes to eLearning since you don’t have a teacher or instructor to take care of the knowledge gap. In the absence of the teacher digital learning content takes the responsibility of engaging learners throughout, making students curious enough to learn and ensuring long-term knowledge recollection. It is a well-developed eLearning course that can resonate with your apprentice’s to deliver optimum results. While there’s no particular secret to creating a successful eLearning course, you start by ensuring the course is relatable and relevant to your organization’s goals and vision. A regular digital learning program should keep up with the ever-evolving need of a modern learner. It must integrate well into your busy employee’s schedule without compromising learning quality. No learner likes tedious and long courses more so in the digital format. That is the reason you need proactive effort to make it sweet and short. Embark on it by clearly defining cut learning objectives that don’t leave ambiguity as to what your students are going take away from the lessons. Methodically analyze the program’s content input that you can select and have the “need to know” material and some main “good to know” content. This helps your learner not to get confused and stay focused despite the much information. The relevance of quality design for your course can’t e overstated. A minimalistic, neat design will help learners to focus on the content better. A thumb rule, do not clutter a page with unnecessary information and keep heading topics distinguishable from the body content. A clear layout is quick on your learner's eyes and pulls them in the direction of the course. It maximizes the quantity of knowledge on the page, hence making each one count. Each organization is unique on its own. Make the eLearning course to reflect the same. Ensure that the course takes the shape of the intellectual property of your organization. Be it logo placement, color scheme, the tone of language or style guides, all content should be in sync with the organization’s brand image. Incorporating your brand image boosts the seriousness that your employees undertake the training program, as they see you have invested effort in the development. The relevance of fonts in digital content is supreme. The correct font in the proper place makes the difference between the learner ignoring and paying close attention to the content altogether. Use readable fonts when conveying a critical idea a when legibility is a priority. Use something eye-catching if you want the learners to pay more attention to information nugget. The same goes to titles and headers within your eLearning program. Boosted readability automatically translates to an improved grasp of knowledge. Simple text can do much to grab the attention of your learners. For your eLearning to maximally recreate the classroom studying experience, it requires a good mix of a multimedia element like the infographics, images, animation, audio clips, and videos. These engage and connect learners better compared to basic text and create an immersive learning environment. The multimedia aspect keeps the course duration short for they can convey more in less time. The content you create is likely to involve your employees in the training process passively. Your organization’s work will remain beyond the boundary line, simply spectators. Such aspects involve the students in the practicing process by demanding an active response before proceeding. Interactive factors like the game-based content trigger-based actions and drag-and-drop activities should be part of your eCourse. Use a story based unit will help you develop an instant connection with your employees. Adding a scenario in the course will help learners relate to the real work environment in which you’re going to use the knowledge. It is recommended that you fix in a story bases module that features a challenge or situation your learner will likely face in their line of duty with a relatable character. Use a story to teach employees how they can apply the knowledge in their professional or personal lives. Smartphones have touched almost every aspect of our today lives, so education should reflect the same. You should use responsive course design to make sure your eLearning training works faultlessly across devices. Interest is what pushes an average person to excellent levels. That is why it’s necessary to keep it alive to your learners. Resource your learner with external links that pave the way for more in-depth research of the subject. It is a good idea to provide the learners with a case study about the latest development in their respective fields. The case might not be in their daily work routine, but it is an addition to the workers who are investing in their training. Assessments are tests that help you to gauge how well your employees respond to the eLearning training course and how well they absorbed the content. Use the latest authoring tools to move away from the typical question and answer format as you adapt innovative ways to measure learning. Use branching scenario, click and reveal, and drag and drop and other interesting modus operandi for your assessments. Ascertain that the eCourse you’re presenting has a connection to the job. Each organization has an ultimate goal they’re collectively pushing to achieve through this entire eLearning course. Ensure the program and training you are giving drives towards that goal. This can be taken through a practical question, interactive sessions, and scenario-based exercises that are tied on the job. Nobody in the eLearning world can get far without getting into some form of compliance training. It is the bread and butter for eLearning designers, and there seem to be an endless stream of legislation that employer needs to make sure that their employees are up to date. Once developed compliance courses have to be updated, amended and adapted giving a useful progressing revenue stream. However, too much compliance training gives eLearning a terrible name for it reflects its worst-quiz questioning, next clicking, and mind-numbingly dull page turning. More often the tests are poorly done that the answers are either impossibly elusive or blindingly obvious. Employees dislike taking compliance training and so the instructor hate offering it. We should the use eLearning instead with the outcome that now leaner detest eLearning. Compliance training is more than checking a box. Employees should understand how it helps them improve their jobs. Compliance is a significant aspect for every organization. With regulations attached to it and, compliance is becoming more sophisticated, effective training is becoming essential to help in risk mitigation ensuring there are minimal violations and penalties. Therefore, compliance training should be taken with seriousness and not checking a box and meeting the minimum requirements. Often employees and their companies shortsightedly see compliance training as a burden and are likely to fail. When organizations take compliance training as an opportunity to grow and improve, they inherently become more profitable and better companies. Compliance is more than policies. It equips you’re the right training and skills to handle regulations and complexities of laws-and do their work more efficiently and safely. At a minimum, comprehensive compliance course should entail: effective training and education programs for relevant employees, development, and implementation of regular participating coordinating and developing a multifaceted training and educational program that purely focus on the elements of compliance unit and to ensure that appropriate management and employees are knowledgeable. Adherence to your organization’s regulation is critical, and most companies now understand the importance of compliance training. Understanding your audience is significant as it will prove partially impossible to develop and design effective eLearning compliance course suitable for them if you don’t. Armed with information on their education and job experience you can avoid irrelevant details and stick to pertinent matters. Tie compliance training with the real world cases and the employees will be in a better position to contextualize how their eLearning relates to their daily work activities. Scenarios and actual-world benefit cases that replicate your audience’s work experience will assist them create a connection with matters in a risk-free environment. Employ learning diversity-kinesthetic, acoustic and visual studying styles can accommodate diverse learning preference. Incorporate different types of multimedia into your compliance training method, with visuals such as gamification, an audio element, and informative videos to avoid monopoly, addressing all preferences and learning needs and adding variety to the training program. At times compliance training feels like drinking through a firehose. Employees are expected to comprehend abundance of information in a relatively short period. Make information retainable and palatable by breaking your content into sized modules and enlisting micro learning as you focus on your learning objectives. Portable learning gives employees the flexibility to access training at their comfort at any point of need, converging learners where they’re and enabling them to switch between gadgets to progress their learning seamlessly. LMS can act as a central data repository to keep training records, certificates, and competencies making it accessible wherever and whenever needed and availing a summary of individual employee’s real-time history, status, and future compliance training calendar. Online questionnaires, polls, and surveys provide an opportunity for the learners to voice concerns and share opinions as such information can give invaluable insight into your employees and present the opportunity to identify weaknesses and strength of the current training method. Some of the compliance units require employees to redo training often after the specified period for them to remain compliant. With LMS you will send reminders and nudges to prompt students to check in and re-certify on time. Nudges facilitate delivery of information when it matters most and initiates learning by helping long-term information retention and reinforcement in months or weeks after completing the eLearning. The modern learner has been equipped with technology to self-seek personal knowledge and know-how. The internet is a means of finding instant data with more employees turning to search engines to learn about their jobs. Being updated with the modern learner is essential in compliance training reason-the risk associated with being posted with rules and regulations in the company. Failure to understand your staff motivation and not to address their problems and experiences results in poor engagement and a general negative attitude towards compliance training. Collaborative eLearning lets employees work in unison, enriching learning through interaction with colleagues. With the insurgence of social media, learning can take place in an informal setting, anywhere at any time. Social platforms encourage the exchange of knowledge and ideas while supporting joint work, while users with minimal input effortlessly and organically churn the content. Those who claim compliance training can’t be fun they haven’t experienced the right compliance training. Effective compliance encourages an emotional connection between their practice and employees. Emotion is critical for it drives attention which enhances learning and memory. Most industry and business organizations rely on compliance training as a way to adhere to the law, rules, and regulations with an intention to avoid penalties and litigations, mitigate risks and a first way are adopting a comprehensive, thoughtful and effective training program for the success of the compliance of your business and employees. Compliance training has a stigma of coming across as messy and tedious. Prolonged classroom sessions, pages of content and endless tests are what most people associate with compliance training but with a change in approach and can technology can offer a solution that are more efficient to employers and engaging to employees. Credits to the digital transformation experienced in the past years, businesses are moving to eLearning to meet the modern needs.